Labor 411 is committed to building a national Buy Union, Buy American movement as a means of improving the safety and economic well being of union workers and their families. We are committed to working hand in hand with labor to organize the unorganized and mobilize our members’ political and purchasing power so that workers can create a better life for themselves and their families. 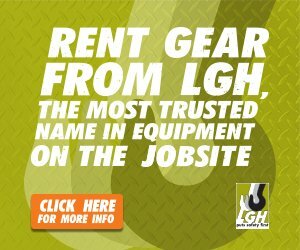 A one-stop resource for people who want to buy union-made goods and services, Labor 411’s print and online directory provides greater visibility to union products and union-made goods and services and helps union decision makers ensure that their dollars and their values are connecting with the community at large. Distributed to over 17,000 union officers and staff, union-friendly vendors and powerful friends of organized labor, Labor 411’s directory of union services reaches a committed and influential audience. Union affiliates are encouraged to have their organization’s contact information published in the directory. Union officers can sign up by emailing us here. Vendors servicing the union market are invited to submit a company listing for consideration by the Labor 411 editorial board. Only vendors with good standing in the labor community will be considered. Click here for the quick online form. Categories will include: Hospitality & Event Planning, Healthcare Services, Banking & Financial Services, Building Services, Hollywood Studios & Production, Political Campaigns, Professional Services, Printers & Print Shops, Consumer, Energy/Infrastructure, and Education. Advertising space is also available. For information on getting visibility in this essential directory of preferred businesses serving the national union market, contact Brian Bullen (x1108) in our advertising department at 818-884-8966.